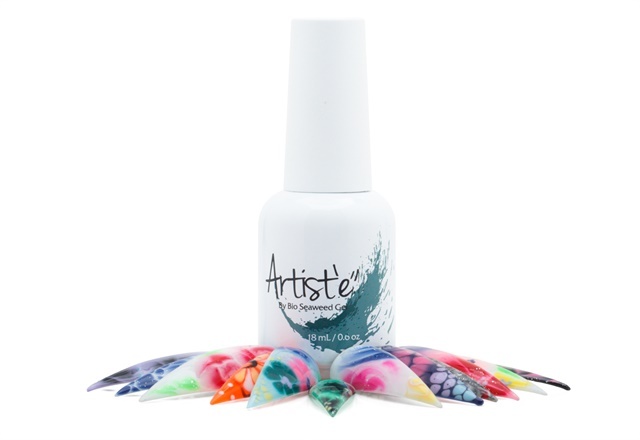 Artist’e by Bio Seaweed Gel gives traditional color gel an easy-to-control water gel art effect, creating marble, striped, flower, and airbrushed looks instantly. Designs effortlessly melt into desired effects for limitless art. To win Bio Seaweed Gel Artist'e, leave a comment on this blog post and tell us what nail art design you're most excited to try. Three lucky winners (U.S. and Canada only) will be chosen on Monday, July 31.